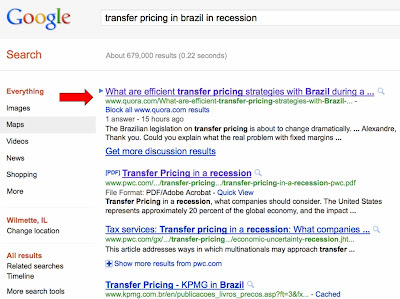 Ross's Law Marketing Blog: Want to Prove SEO works? The Brazil Results are In! 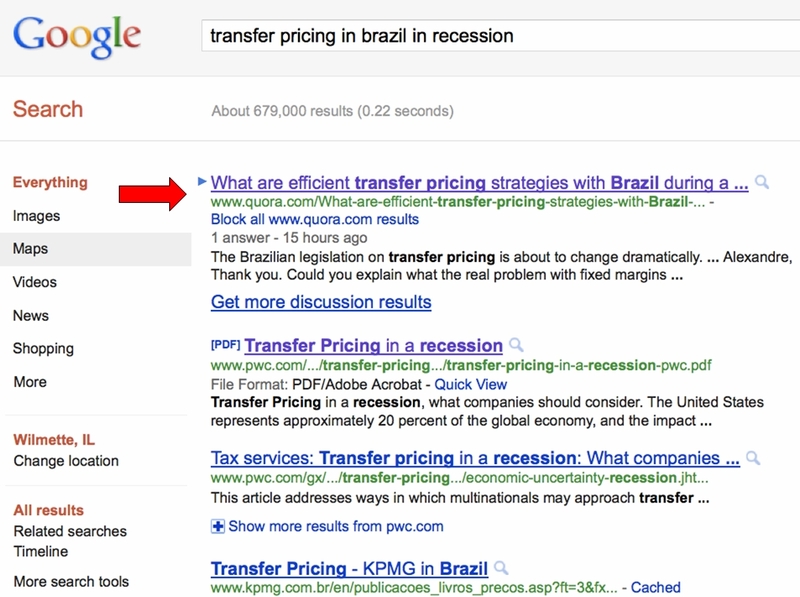 Want to Prove SEO works? The Brazil Results are In! Just two months before heading to Rio de Janeiro, Brazil for the Lawyers Associated Worldwide (LAW) annual conference we discussed with the host firm, Lacaz Martins et al. 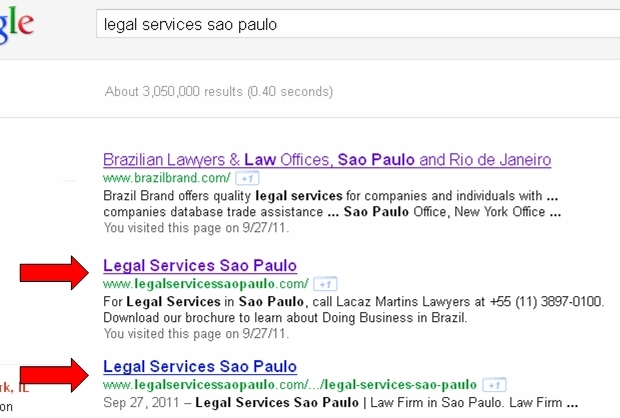 their interest in using the internet to seek referrals from US law firms. Our initial investigation showed that they didn’t exist on the first ten pages of any geographic-, industry-, practice-, or sub-specialty-specific Google search we conducted. 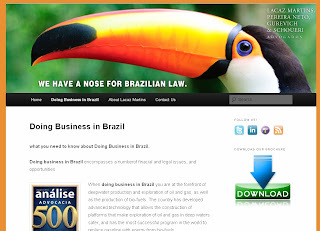 Great firm, no real internet presence. 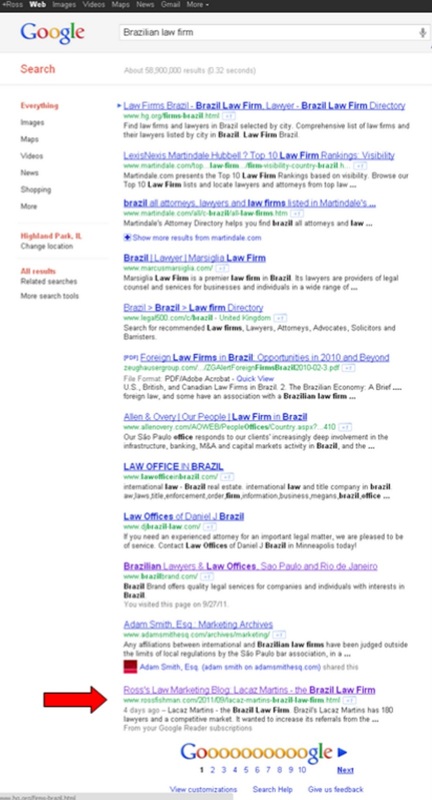 Just 45 days before the conference, we undertook an aggressive search-engine optimization (SEO) campaign (discussed here) to elevate their US Google rankings before the LAW conference. 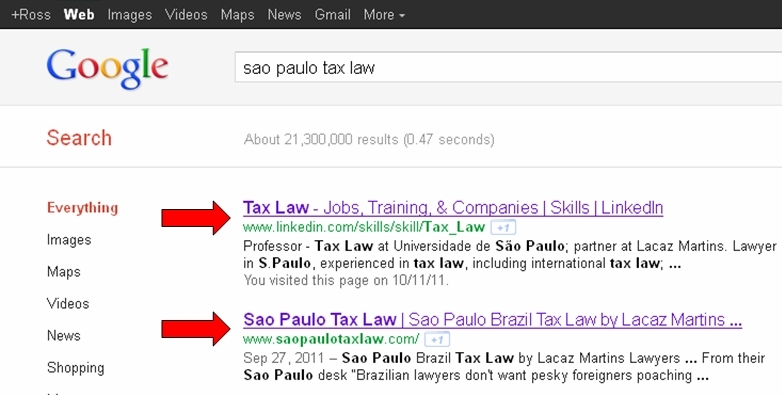 The Lacaz Martins firm has a particular expertise and leadership in tax law but hadn’t shown up in any Google searches relating to this practice. 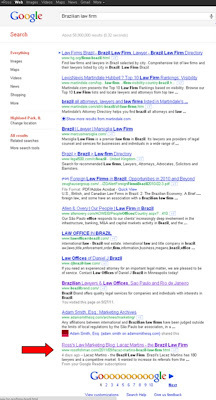 We even did well for the general search for "Brazilian law firm," which yielded a page-one result for our own rossfishman.com blog: Of course, with the aggressive competition for all of these terms from other firms and organizations, if these rankings are not proactively maintained, they'll decline quickly. The next step, of course, is converting highly placed search results into hard leads, and the leads into paying clients. We were recently speaking with a small international firm that generates nearly one million Euros per year in new business alone just from these types of SEO efforts. But that's a discussion for another day, and another blog post. Optimizing a website using the right and competitive keyword or key phrase can be very difficult at first. It involves good SEO techniques and strategies. 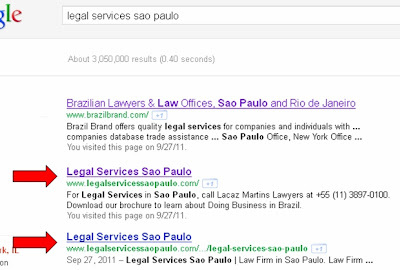 Furthermore, Ranking a general keyword is much more difficult which you did in just 45 days.